The second instalment of our three-part series comes from Subsidium's Director Simon Evans. Let’s dive into his predictions for Enterprise Mobility Management in 2019. Prediction one: Rise in subscription model. Over the past year there has been a lot of interest in Subsidium’s monthly payment offer. We suspect that this will continue to rise as more businesses want to move to an Opex model for Enterprise Mobility Management, paying for licences monthly rather than yearly or 2 yearly. Prediction two: Explosion of zero-touch. Not literally, but what is not to love about deploying a device using zero-touch. 2019 will be the year of companies streamlining their deployments. Here at Subsidium we will be using a zero-touch solution at every opportunity, with Android leading the way. Prediction three: Android Enterprise as a standard. Android is the world’s most popular operating system in the market. Android Enterprise provides a secure, flexible and fully managed platform that is built for business and in 2019 we see AE becoming the go-to solution for the enterprise market. Prediction four: The rise and fall of retro phones. 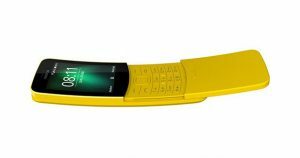 Nokia has relaunched both the 3110 and 8110 ‘Banana Phone’, but let’s be honest they are not heading straight onto the Android-Recommended list. Sure, a few hours of nostalgia can be achieved through holding one of these devices, but we’ll all soon be reaching back for our latest smartphone. You just can’t beat the devices and OS of today!